Unibody Design – A sleek design and thin 1.05in thickness means this is one of the sleekest laptops around. 4K UHD Display – A Sharp IPS display capable of delivering up to 4K resolution for crystal clear graphics. 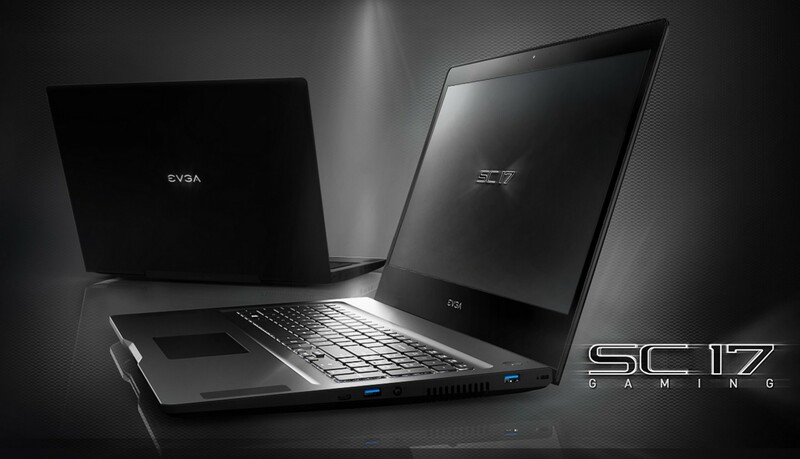 Incredible Hardware – EVGA is known for performance hardware, and the EVGA SC17 laptop is no exception. An Intel Core i7 6820HK Unlocked processor combined with an NVIDIA GeForce GTX 980M graphics gives you unbelievable performance in the latest games. Built to Overclock – Overclocking on a laptop? Seems like a myth, but we have nothing to hide here. A full GUI BIOS with full control over CPU Multipliers, Voltage, Memory Timings, Frequency, even GPU overclocking right inside the BIOS. It also ships with EVGA PrecisionX mobile for complete control in Windows also! BIOS – The EVGA SC17 Gaming Laptop ships with a REAL BIOS. This means full GUI support including mouse, complete control over all overclocking features such as CPU. EOC (EVGA Express OC) – Overclocking at your fingertips, overclock on the fly with up/down arrow keys allowing you to enable Superclocked performance, or downclock mode to improve battery life. Also cycle through preset overclocks to find the best performance for the situation. EVGA PrecisionX Mobile – The power of EVGA PrecisionX, now mobile with EVGA PrecisionX Mobile. Tweak your overclock settings, overclock hotkeys, profiles and CPU overclocking right at your fingertips. EVGA PrecisionX mobile can even enable/disable laptop backlighting and keyboard lighting!